Free tracing/writing cursive letter and number worksheets for kids. 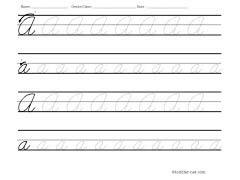 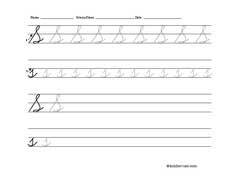 Use this set of worksheets as a second step in learning cursive handwriting with your kids after our Cursive Tracing Worksheets. In addition to two rows of cursive letters for tracing, each worksheet in this set has two rows of letters for practicing independent writing. 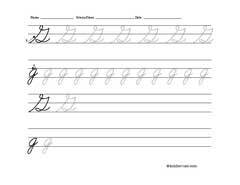 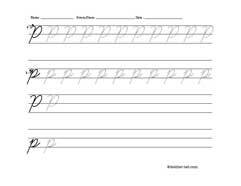 To continue practicing handwriting you may also try our cursive letter writing worksheets. 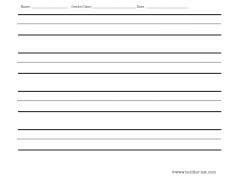 Click on the thumbnail image of a worksheet below to see a worksheet detail page, from which you can download printable worksheet in PDF format.